I'd been in Leticia for 2 weeks. Used to dodging motorcycles to cross the road, being woken up at 5am by army drills and not ever quite used to overwhelming heat, but used to how ununsed I was to it. Unable to do a weekend jungle trip like I had hoped thanks to eye watering costs, I had one last weekend to wander around before leaving on a jetplane on Monday. I lounged by the pool, and seethed that the ONE time I didn't bring my camera out was the time a parrot flew down, perched on a chair opposite to me and hung out for hours. I also visited the river port and its markets one last time, drank beers with my classmates and enjoyed sunbathing and reading. By Sunday afternoon, after a long, lazy lunch with a classmate, I'd exhausted Leticia. My classmate, Jennifer, had gone to Tabatinga, the Brazilian border town where Bea, Helen and I had our wild night the week before, that morning to the Casa de Chocolat and bought some M&M's. I hadn't had access to M&M's in nearly 2 months and decided to seize the opportunity. I'd already been to Tabatinga three times prior to this. First, on a border hop walking down the street with Helen and Bea. Second, later that night in a tuk tuk with Helen, Bea and our new Colombian friends. Third, on my cultural college activity, bicycling around Tabatinga with a guy from the college. Each of these three times, the many Brazilian guards with huge guns had ignored me and all the other people walking/biking/driving down the street and there had been no indication of any border formalities whatsoever. This time, I was in for a rude awakening. Tabatinga is a short distance away from central Leticia. It took about fifteen minutes of walking to get to the dusty street where there is a small, uninteresting sign indicating you are now in Brazilian territory, lots of soldiers dotted around the two way street and no blockade/formal barrier. I walked past, just like I'd done the first time and had seen countless of other people doing since. I veered to the right to avoid some cars coming through and noticed a female guard watching me. Completely used to staring (and hissing and whistling and Spanish compliments) after two months as a gringa in South America, I didn't think much of it. As per usual, the heat was sweltering and I wiped off some sweat from my forehead. Just at that second, she barked me to come over, gesturing wildly. Maybe my sweatiness, coupled with my eternal nervousness around big guns (I'm from New Zealand. Guns will NEVER be a normal thing to be around for me) set her off. Maybe my veering to the right. Maybe she was just a bit of a bully who was bored - most likely option. Shouting rapid fire Spanish questions at me about my intentions in Brazil and who I was, I was so shocked at the unexpectedness of it all that I started stammering. She started waving her gun around, half pointing it up whilst continuing to shout, as I tried to explain all I wanted was some M&M's. Three of her male colleagues formed a circle around me, guns at the half ready - which was a GREAT comfort - while she made me part my legs, put my hands behind my head and undergo a VERY intimate pat down. The kind of pat down that you only let someone you really like do to you. Whilst patting down, she continued to fire questions at me. As a novice at pat downs and security searches, I kpet turning my head to hear her properly and speak back which was met with a gun tilt each time. The entire process took ten or so minutes, and probably qualifies as the scariest experience of my life. After what felt like eternity, it was established I wasn't attempting to smuggle narcotics or bring ruin to Brazil. Filling out some stupid form I'd never seen anyone had to do before, she clapped her hand on my shoulder and suddenly all buddy buddy, chuckled and beamed, 'Bienavidos a Brasil!' at which point I laughed in disbelief, wanting nothing more than to GET OUF OF BRAZIL and return to safe, happy Leticia. Safe, happy Leticia - where I was not. 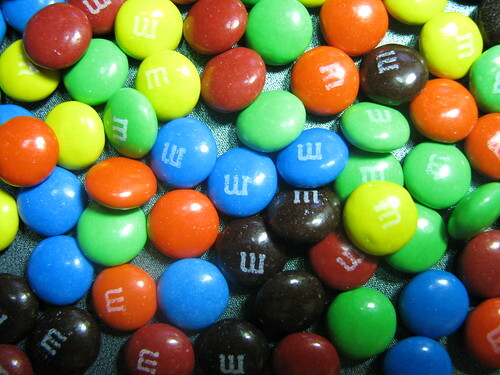 Deciding an immediate return to Colombia would look suspicoius and possibly invite more physical exams, I walked off, cursing the day I decided M&M's were worthy of a border crossing. Casa de Chocolat is ten minutes away from the border and almost immediately after being 'welcomed' to Brazil, the skies opened and a tropical downpour started. Squelching my way down the street, once again reflecting on the odd experiences one finds oneself in during travels, I arrived absolutely soaked to find the store closed. Turning around, I headed back to the border, slightly hysterical about what new, shattering of innocence experience awaited me. Only male guards on the other side of the street and just like every time prior to my newest experience, they barely registered my presence, allowing me to walk to Colombia with no issue (almost tempted to break into a run to get to Colombia quicker, but decided this was an awful idea) The soggy thirty minute walk back to the College was one of relief, coupled with bittersweet realization that M&M's will forever be tainted for me from this day forth. The next day, I flew to the opposite end of Colombia and was definitely okay with leaving my new Brazilian border guard experience behind me. Offically presented with my certificate on my last day of classes, with the head of the College and my teacher, Juan.